The entrance to the Lautoka City was covered in smoke from the burning Vunato Rubbish Dump yesterday. And this has been the case since last Sunday when a fire started from the dumpsite. Police spokesperson Ana Naisoro confirmed receiving a report from the Council office about the fire. Ms Naisoro said the Council was working with the National Fire Authority in investigating the cause of fire. Lautoka City Council chief executive officer Jone Nakauvadra confirmed they were working with NFA to contain the fire, and were hopeful that it cleared by next week. “We have doubled our resources and are hoping that we are able to contain the fire by next week,” he said. 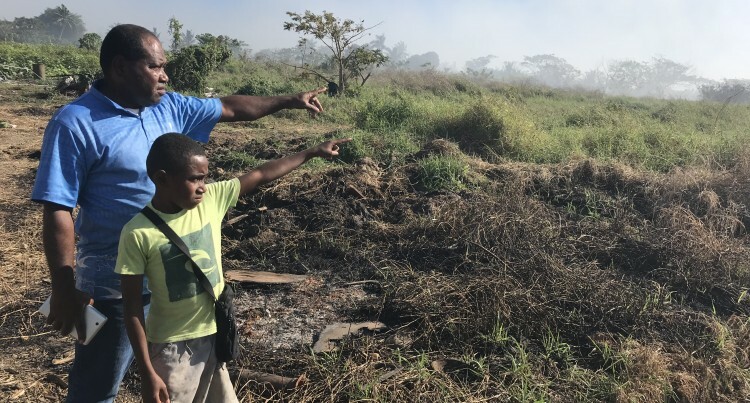 Meanwhile, a resident living near the Vunato Rubbish Dump in Lautoka is worried about his family’s health from the smoke. Isaia Tabua, of Vicia Settlement, said he was concerned that all the rubbish dumped at the site included all kinds of waste materials. Mr Tabua, who has been residing in the area for the last 15 years, said that they had faced similar fires in the past, but not as bad as the current one. He also commended the workers who stayed as late as 10 at night just to work on containing the blaze.